French butter. Suitable for vegetarians. 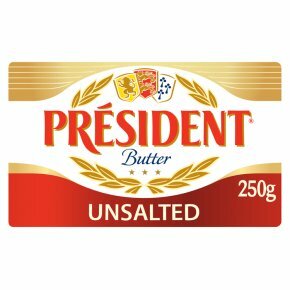 Made in the heart of Normandy with the finest milk and cream, Président Unsalted Butter offers all the pleasure of French butter. Delicious in sponge cake or buttercream and perfect for savoury pastries and sauces.